Covering a vast area on the California / Nevada border, the Lake Tahoe area is surrounded by attractions and no matter where you are based, it is quite likely that you will find that day trips and short-break excursions will be necessary, to properly make the very most of your vacation. 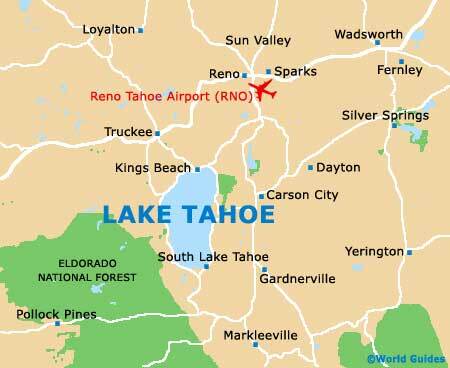 The nearest large city to Lake Tahoe is Reno, which comes with its very own set of glitzy casinos, gaming attractions and family-orientated theme parks. 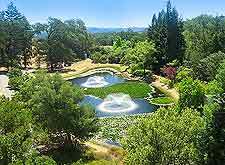 The Wine Country of California has become legendary the world over and the innumerable wineries and vineyards attractions around the Napa Valley are so plentiful that if you are intending to visit, you will need to plan your itinerary carefully to make the very most of your visit. Lake Tahoe is also within reach of some spectacular Californian cities, such as San Francisco, Sacramento and Oakland, amongst many others. Even if you have only the slightest interest in wine, then California's world-famous Napa Valley is the perfect place for a trip. Located to the southwest of Lake Tahoe, the Napa Valley and the surrounding Sonoma Valley are home to in excess of 300 different vineyards and wineries, many of which offer guided tours, wine tastings, restaurants, stunning views and further wine-related attractions. One to look out for is the Hess Collection Winery on Redwood Road, where both art and wine successfully merge and provide a rather unique place to visit. Carson City is the proud capital of the state of Nevada and is actually a relatively small town, with numerous tree-lined roads and attractive historical buildings. 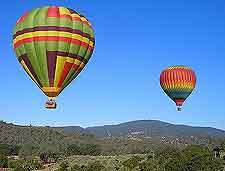 The attractions within Carson City are both numerous and varied, including a series of casinos and museums. Particularly impressive is the Nevada State Capitol, which is where you will find the y recommended Nevada State Museum and its numerous dioramas, which depict past Indian life. Very well known in California for its enormous harbor, Oakland is an appealing waterfront city, relatively close to Lake Tahoe and lying to the southwest. Oakland boasts various waterfront attractions, which are particularly concentrated around Jack London Square and the lively Chinatown district. 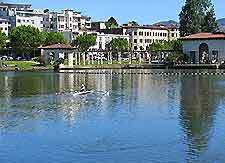 Lake Merritt has become very central to life in Oakland and tourists always enjoy the seasonal gondola rides and nearby Farmers' Market, which is held each Saturday. Often compared to Las Vegas, due to its bright lights and flashy casinos, Reno is actually on a completely different scale and is considerably smaller and more intimate, which for many makes it all the more attractive. On a hot, sunny day, locals in Reno often head next door to Sparks, where the Wild Island Family Adventure Park and its water-based attractions await. 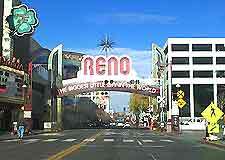 Within Reno itself, apart from the casinos, are a number of very noteworthy museums, including the acclaimed Nevada Museum of Art on West Liberty Street, and also the National Automobile Museum on Lake Street. Sacramento was established more than 160 years ago and has long been the Californian state capital, famed for its historic gold rush past. Visitors to Sacramento will be treated to a host of attractions, ranging from riverboat cruises, to children's theme parks and zoological gardens. 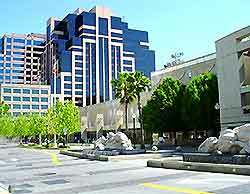 Sacramento is also a good place to come if you are a serious golfer or shopper. The city of San Francisco is within easy reach of Lake Tahoe and since it contains so many truly iconic sights and attractions famous the world over, it really should not be missed at any cost. 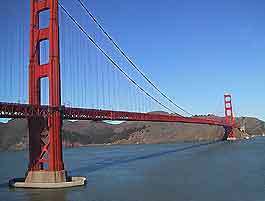 If you only have time for excursion, then San Francisco really should be the one, although at approximately three hours away from Tahoe City, day trips are really out of the question, with short weekend breaks being ideal for a taster of the city and what it has to offer. San Francisco is home to the Golden Gate Bridge, the island prison of Alcatraz, a lively and somewhat commercial dining scene within its colorful Chinatown district, and the Fisherman's Wharf, where Pier 39 is the location of the Aquarium of the Bay, and a rather noisy and entertaining group of local sea lions. Sun Valley in the state of Idaho is to be found directly to the northeast of Lake Tahoe and is the place to come for recreational activities and attractions. The Sun Valley area provides some great hiking and mountain biking trails, particularly the Wood River Trail System, which winds around for some 20 miles / 32 km, through both Ketchum and Sun Valley. However, it is the Sun Valley Resort itself which is the crowd puller, providing superb skiing conditions in the winter months, with powdery slopes and advanced cross-country routes, on both the Bald Mountain and the Dollar Mountain. There really aren't many attractions on the entire planet that come close to Yosemite National Park. Packed with endless natural beauty and an unmistakable tranquil serenity, Yosemite National Park is both an untamed wilderness and a prime tourist hotspot. The Yosemite Valley forms the very heart of the park and stretches for around 7 miles / 11 km. A number of camping sites and lodges are spread around the park and its 800 miles / 1,285 km of hiking trails.